In Castellane, we practice lively water sports in a magnificent river; the Verdon, bordered by the biggest Canyon in Europe. Welcome to Verdon Regional Natural Park! All our aquatic activities; Water Trekking, Air Boat Kayaking and Rafting are securely managed and monitored by Cyril, professional state-diplomated guide who will provide you with all the proper equipment following all European security regulations. Equally designed by the therms “Randonnée aquatique” and “Aqua-Rando”, this is the one activity that will allow you to explore the Verdon Grand Canyon. Within your neoprene suit, you are your own vessel among the not so gentle rapids of water. Accompanied by a state-diplomated guide who provides you with all the necessary instructions while assuring your security in the water, you are on your own single or double inflatable kayak perfectly adaptable to the gorges course. The rapids of the Verdon are yours! Sport and awesome sensations are guaranteed! The raft is a vessel that accommodates 6 to 8 people, guided by a state-diplomaed instructor who equally assures your security in the water. This activity is ideal to discover the Verdon with family and friends, from sportive to contemplative levels of rapids, it’s your choice! The must do of the Verdon! Your guide invites you to explore the most unusual sections of the Grand Canyon from the passage of l’Estellier towards the Imbut. Your lunch is waterproofed packed and you can also carry other personal items safely. Four hours of swims and jumps (never compulsory) plus two hours hikes (300m of negative slope on the way in and 350m positive slope on the way back). Course reserve to more sportive types. Meeting point is on the left side of the river, by the parking lot of the Grand Canyon Hotel, 15 km from Aiguines on route D71. An accesible course for everyone! Ages 6 to 77. Very short hikes and small slopes. One and a half hour in the turquoise waters admiring the high cliffs of the Grand Canyon. Jumps are never compulsory! Meeting point is in front off Camping de Carajuan on route D952. You are on your own one or two-person inflatable kayak. Sport and awesome sensations guaranteed! In the Spring, when water levels allow it, we also kayak over the wonderful course of the High (Haut) Verdon. Two and half hour in activity and we will transport you back to the point of origin. Departure is from Castellane, meeting point by the municipal pool. In the Spring, when water levels allow it, we also navigate whith rafting over the magnificent course of the High (Haut) Verdon. After finishing, we will transport you back to the point of origin. Departure is from Castellane, meeting point by the municipal swimming pool. We will provide you the best and most reliable equipment for both comfort and safety. So, let’s go! Do you need more information? Need to contact us? Want to reserve your activity? Please fill up the attached form and we will contact you as quickly as we can. Your guide: Cyril Laurent finished his studies in geography in Seville in 1997, that same year he started his first season as a guide in the Verdon river. Simultaneously, he is also a professional musician (saxophonist) and video editor. Globetrotter for eternity, he knows the Verdon is one of the best places to live and enjoy in the summertime. He cares very much for the environment and for safety rules and he will make sure to guide you in a humble and friendly way while having lots of fun! For each activity, a minimal physical condition and equipment is required. You will find a list below. 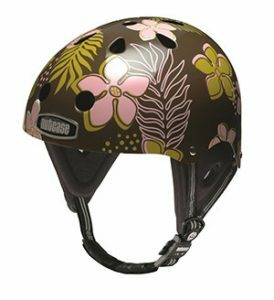 VERDON XP & The Funny Helmets© activities are suitable for everyone. However, participants must: – Be able to swim – Have a reasonable level of fitness – Not have an existing medical condition (e.g. back problems, heart disease) – Be over 14 years old for the “Water Trekking” – Be over 12 years old for the “Airboat Kayaking” – Be over 8 years old for the “Rafting” – Have received parental consent if under 18 years old. In the case of group registration, the guide will tailor the trip to all members of the group according to the conditions on the day. Bookings will only be confirmed upon receipt of this form, completed and signed, and accompanied by a deposit amounting to 30% of the total cost of the trip. A booking confirmation will be sent upon receipt of the deposit. The feasibility to carry out any activity is subject to the guide’s assessment of the weather conditions on the day and the physical ability of each of the participants. 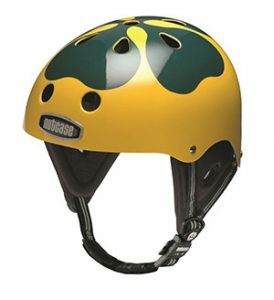 VERDON XP & The Funny Helmets© reserves the right to modify the activity program for safety reasons, floods, physical ability, or any other circumstance outside the organiser’s control. If any of these circumstances arise, alternative routes will be organised without participants being eligible to claim compensation. If VERDON XP & The Funny Helmets© finds that for whatever reason an activity must be cancelled, the participants will be refunded in full without eligibility to claim further compensation. For any cancellation by the participant(s), the deposit will not be refunded. If VERDON XP & The Funny Helmets© has availability, the deposit can be transferred to another date in the current year with the receipt of a registered letter at least 7 days before the activity is due to take place. With regards to groups, if the number of participants is less than expected, VERDON XP & The Funny Helmets© must be informed at least 7 days before the date of the activity, otherwise all reserved places must be paid for. 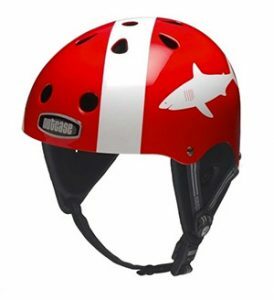 VERDON XP & The Funny Helmets© has subscribed to an insurance policy with the company MMA covering liability that is specific to the supervision of white water activities. This liability insurance is included in the price of activities. 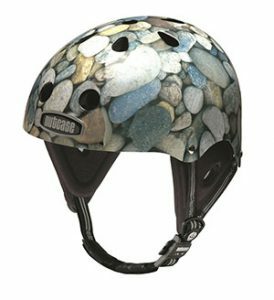 NOTES: All reference to VERDON XP & The Funny Helmets© refers to Cyril Laurent and his team of whitewater guides.